When Ella Barker’s dad, Wayne, encouraged her to get into coding, he didn’t realize she would end up traveling to an international tech conference in middle school. Ella, now 13, started her coding journey by participating in the Hour of Code, an event designed to demystify computer science and introduce kids to coding as part of Computer Science Education Week. “When I was younger, I didn’t understand it as well and wasn’t as interested,” Ella says. “But I kept doing it every year because my dad wanted me to.” However, Ella realized that she was getting good at coding and could do something more. 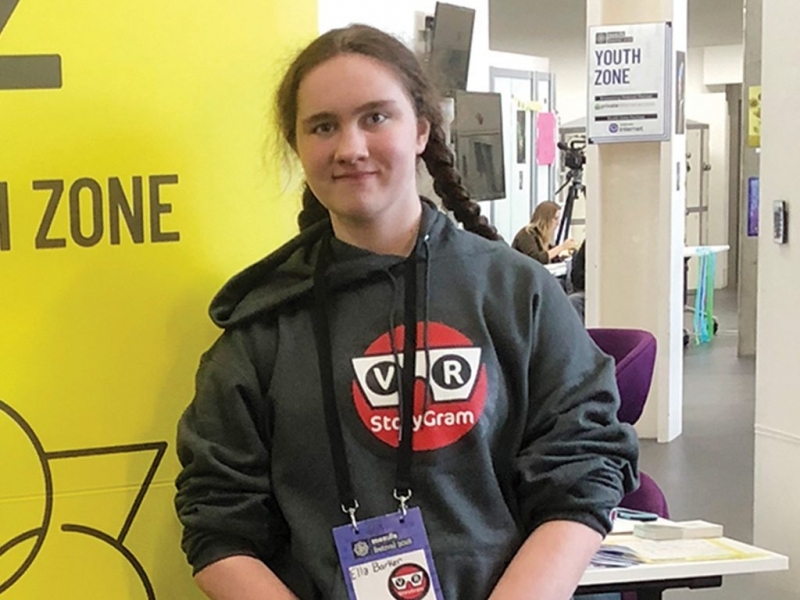 Ella’s project VR StoryGram was chosen for the 2018 Mozilla Festival, which accepts only 20 percent of submitted proposals. VR StoryGram is designed for educators to create their own 360-degree photospheres and videospheres. She and her brother, Stephen, whose project was also chosen for MozFest, traveled to London for the week-long conference with mom, Holly, and aunt Heather Stone. “London was awesome,” Ella says about her first trip out of the country. Ella is already preparing a proposal for next year’s MozFest, and she’s also on the Episcopal High School robotics team. Although as a seventh grader, she is able to help build the bots and learns a lot in the process. Ella also has a YouTube channel where she posts videos about coding and technology as Coder-Ella. With her coding chops, video skills, and advanced robotics, we can say that Ella is definitely one amazing kid. 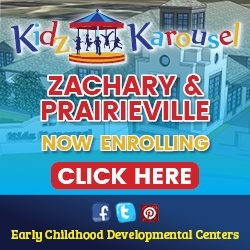 Do you have One Amazing Kid?